So you’re a super low budget indie filmmaker and you need an amazing deal? This is it! 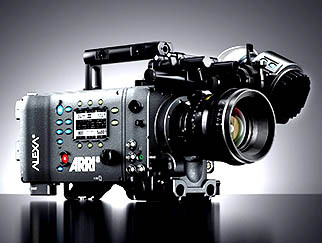 Provide your own monitor, own Canon EF lenses and own batteries and we’ll give you an Arri Alexa EV Classic with SxS cards for the price of renting 2 Canon 5DmkIV cameras! Note, if you need a monitor and batteries, just rent the ready to shoot kit. It includes all those plus 2x 128gb SxS cards – nearly a $295 value for only $150 more. NOTE: This is a basic camera body only kit and does not included batteries, charger, monitor or EVF! If you need to add most of those, book the other package which includes all of them as well as 2x 128gb SxS cards. The Alexa EV probably has more Oscars than any other digital camera… 5 straight wins for Best Cinematography were filmed on it (the streak was broken by La La Land, shot on film, fyi). Yes, it’s 2.8k not 8k like our Epic-W but that seemed to be good enough for The Revenant, Birdman, Life Of Pi, Argo and Gravity to take home a trophy. Ours has the 120fps license. It can be paired with our Odessey 7Q+ for Arriraw . It has colour so beautiful we will guarantee you will get into Cannes* (*not an actual guarantee). This is available in native Canon EF mount for use with our CP2, Sigma Cine, Canon L, Rokinon, and weird old vintage lenses. It’s also available in PL mount of course. Also, we upgraded the EVF from the original one to the killer SmallHD 502 Sidefinder!